At Break the Ice Media, part of our mission is to be lifelong learners. Learning opportunities are encountered daily. Obtaining new understandings and information is critical if you want to grow personally and professionally. 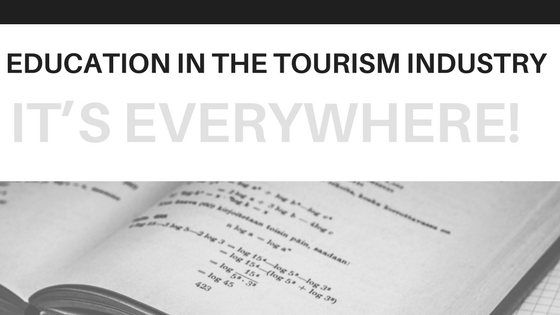 We consider ourselves fortunate to work in the tourism industry and this industry is no different than any other as it pertains to the many opportunities and needs for continued education. 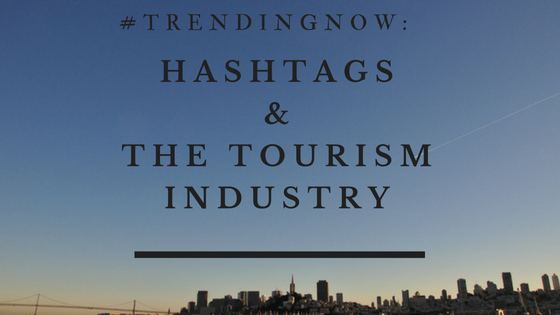 Much like other industries, opportunities for increasing tourism education are abundant. We all have experienced learning in many forms throughout our lives. Grade school, college, grad school, etc. All that learning has helped shape us into who we are today. We made it through all of that and now we’re out there in the workplace- so where does education fit in today? Learning should still be a part of our everyday lives. While most often the people hired to become frontline staff are entry positions, they hold the key to a successful visitor experience. From hotel clerks to restaurant servers, to bus or even rideshare drivers, everyone should be trained appropriately. There is customer service training as well as tourism education about local attractions, restaurants, accommodations, and events. This is how people and organizations can stand out from the crowd. Customer service reviews have an immediate impact on the bottom line. If the folks that are encountering visitors every day aren’t educated properly, how can they help provide a great experience for guests? The Cayuga County Office of Tourism is leading the way in this effort by providing a new e-learning tool. There are several modules that the learner completes at their own pace. The modules are fun and interactive and only take 15-20 minutes each. The end result – a much more informed tourism ambassador. There are many reasons to attend a conference, however, one of the main reasons is education. One example is the ABA (American Bus Association) Annual Marketplace. This is one of the largest national conferences within the tourism industry. A 5-day conference where approximately 3,500 travel trade professionals (tour operators, suppliers, and exhibitors) come together for business opportunities and growth. One of the exclusive benefits conference attendees have is participating in the many seminars offered and increasing their tourism education and knowledge. Approximately 40 seminars are available, all about 1 hr. in length and the subject matter is tied to 3 categories – professional development, sales & marketing, and technology. Join a committee or a board of directors. Volunteer work is not only rewarding and a great networking opportunity, it can be very educational. Being on a committee provides access to information, organizations, and individuals that would not be available otherwise. I spent 2 years as a board member of a technology organization (Digital Rochester). Throughout my time on the board, I had the opportunity to learn from many professionals within that industry. I was not familiar with many aspects of that industry prior to joining the board. Now I volunteer on other community and industry committees as well, such as the ABA Marketplace Education Committee. I’ve learned more about event planning, award programs, concert venues, and not-for-profit organizations all because I served on committees. I’ve been introduced to specific organizations and how they work and met incredible people whom I’ve learned from as well. I can draw on that knowledge and relationships long after my role on that committee has ended. There is so much information for us to absorb no farther than a click or a swipe away. Be diligent about setting aside time to listen to podcasts (such as Destination on the Left), read articles and books. If reading isn’t your thing, then listen to books while driving in the car, whether it be a trade publication or a self-help offering. Give yourself the opportunity and advantage to learn and grow. We learn from each other! Don’t discount your ability to learn from someone just because they’re younger, older, less experienced or in a different industry or line of work. We all have gifts to offer. Be willing to learn about new ideas and concepts and be willing to share your insights as well. Knowledge is power! What have you learned today?